Reproductive factors have been shown to affect pre- and postmenopausal breast cancer risk differently, but whether there are additional age-specific differences among menopausal women as they age has not been clarified. We analyzed data from a large population-based case–control study that included 1,508 breast cancer cases and 1,556 controls, aged 20–98 years, who completed an in-home interviewer-administered questionnaire. The following subgroups were created to examine if the associations between reproductive factors and breast cancer risk varied by age- and menopausal-status: premenopausal (n = 968), postmenopausal <65 years (n = 1,045), postmenopausal ≥65 years (n = 958). Among postmenopausal women ≥65 years, ever having breastfed decreased risk (odds ratio (OR) = 0.67, 95% confidence interval (CI) = 0.48, 0.92), and a strong dose–response relationship was observed for longer durations of breastfeeding (P trend = 0.02), with the most pronounced protective effect observed for ≥14 months of breastfeeding (OR = 0.40, 95% CI = 0.21,0.76). 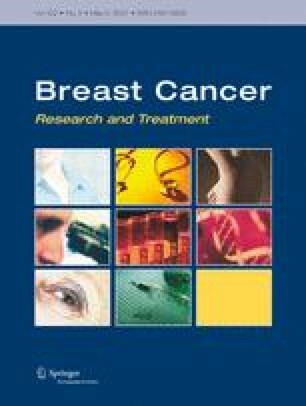 Late age at first birth (AFB) and older age at last birth (ALB) were associated with non-statistically significant increases in breast cancer risk in this older group, while late age at menarche and surgical menopause decreased risk. ORs for multiparity were close to the null. Among premenopausal women and postmenopausal women <65 years, multiparity significantly decreased risk, and older AFB nonsignificantly increased risk. Our findings suggest that the well-known protective effect of multiparity attenuates with older age. Moreover, breastfeeding, one of the few potentially modifiable risk factors for breast cancer, was an important factor in decreasing risk among older parous postmenopausal women. This work was supported in part by grants from the National Cancer Institute and the National Institute of Environmental Health Sciences (Grant nos. UO1CA/ES66572, T32CA09330, P30ES09089, and P30ES10126). For their valuable contributions to the Long Island Breast Cancer Study Project the authors thank: members of the Long Island Breast Cancer Network; the 31 participating institutions on Long Island and in New York City, NY; our National Institutes of Health collaborators, Gwen Collman, Ph.D., National Institutes of Environmental Health Sciences; G. Iris Obrams, M.D., Ph.D. formerly of the National Cancer Institute; members of the External Advisory Committee: Leslie Bernstein, Ph.D., (Committee chair); Gerald Akland, M.S. ; Barbara Balaban, MSW; Blake Cady, M.D. ; Dale Sandler, Ph.D.; Roy Shore, Ph.D.; and Gerald Wogan, Ph.D.; as well as other collaborators who assisted with various aspects of our data collection efforts including Mary Wolff, Ph.D.; Geoff Kabat, Ph.D.; Steve Stellman, Ph.D.; Maureen Hatch, Ph.D.; Gail Garbowski, MPH; H. Leon Bradlow, Ph.D.; Martin Trent, B.S. ; Ruby Senie, Ph.D.; Carla Maffeo, Ph.D.; Pat Montalvan; Gertrud Berkowitz, Ph.D.; Margaret Kemeny, M.D. ; Mark Citron, M.D. ; Freya Schnabel, M.D. ; Allen Schuss, M.D. ; Steven Hajdu, M.D. ; and Vincent Vinciguerra, M.D. For their careful review of the manuscript, the authors would also like to thank Andrew Olshan, Ph.D., and Stephen Kritchevsky, Ph.D.